Perfect place for cozy outings near Guru Dronacharya Metro Station. OYO 9381 DLF Cyber City is a lovely and beautiful hotel situated near Guru Dronacharya Metro Station. Other nearby areas include Sinkanderpur Metro Station, Aravalli Biodiversity Park and DLF Gurudwara. The rooms at the hotel are decked with modern decor and furnishings. The light toned walls give out a sense of calm and soothing vibe. The rooms are provided with beautiful plywood furnishings and are designed keeping the minimalism approach in mind. 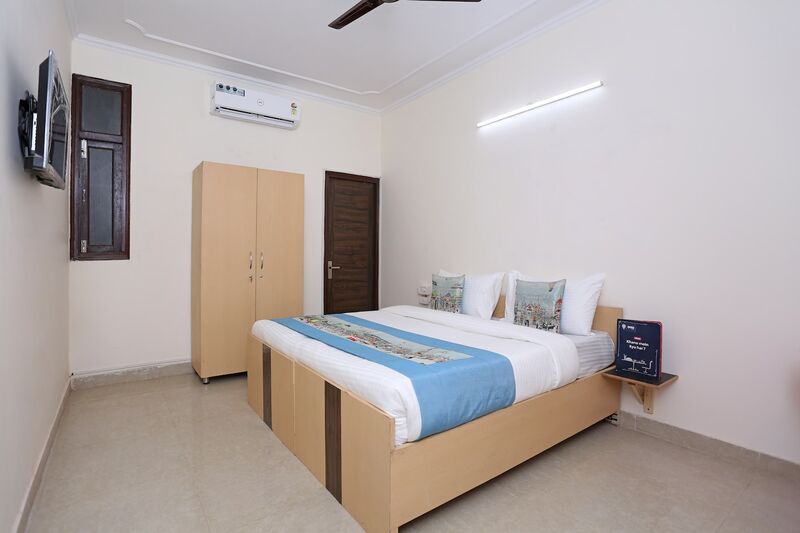 TV, free internet connection and AC are provided for the comfort of the guests along with 24-hour power backup and CCTV camera coverage. The guests can head out to grab a bite at Alkauser, Sushiya Express, Nakshtra, China Club, Midnight Foodinn and E Yum.